Located in southern Europe at the southeastern extremity of France, Nice occupies an exceptional natural site in the heart of the French Riviera. 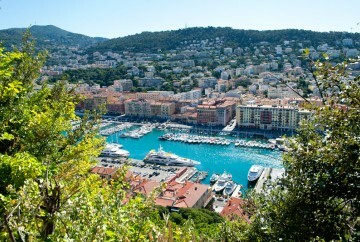 Nice has never been nearer to you! 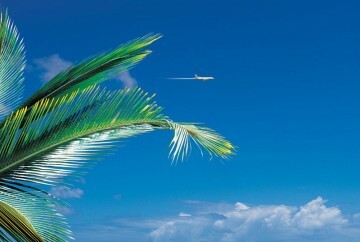 The Nice Airport is an international gateway just 10 minutes from the city centre. It is France's largest after Paris, with 14 million passengers a year, over 120 direct destinations and 60 regular airlines flying to 43 countries. 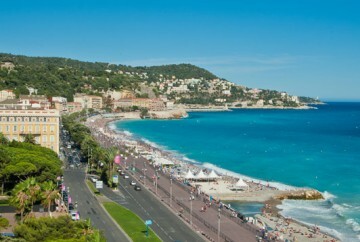 Nice has daily links with the main cities in Europe, North Africa, Middle East and the American continent. Nice Côte d'Azur Airport has two terminals. It is also the first airport outside Paris to offer a daily connection to New-York and Dubai and the leading provincial low-cost airport, with 3 million passengers a year and 18 airlines. 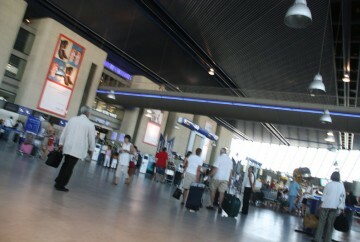 The infrastructures provided make it the second busiest airport in France, a secure, resolutely modern activity cluster, integrated in the Alpes-Maritimes's development and harmony. It has two terminals : T1 and T2. Now boarding ... Welcome to Nice ! The SNCF (National Railway Company) provides regular connections from abroad and daily connections with the largest cities in France. The TGV (high-speed train) connects Paris and Nice in 5 1/2 hours. Located in the heart of the city, the Port of Nice comprises a 10ha harbour, 7ha of docks and a dozen wharfs, six for commercial activity. It is just 7km from the Nice-Côte d'Azur International Airport and just a few minutes on foot from the city's main points of interest (Old Nice, Place Massena, shopping areas, Acropolis Convention Centre). Nice is connected to all the great European cities by a major motorway network. In particular, the A8 motorway, 'La Provençale', running from Aix-en-Provence to the West to the Italian border on the East.